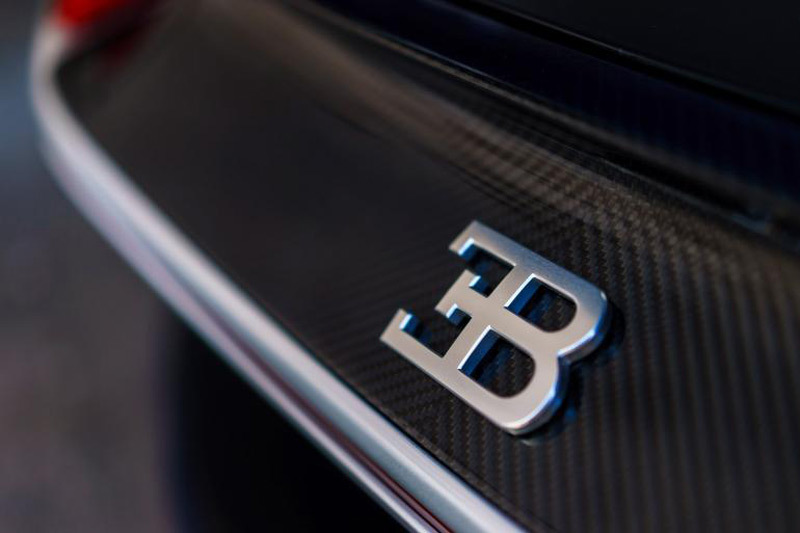 Montegrappa has once again partnered up with Bugatti for a new writing instruments collection. This all new design for the Chiron pens is timed to coincide with the unveiling of the successor to the astounding Veyron. 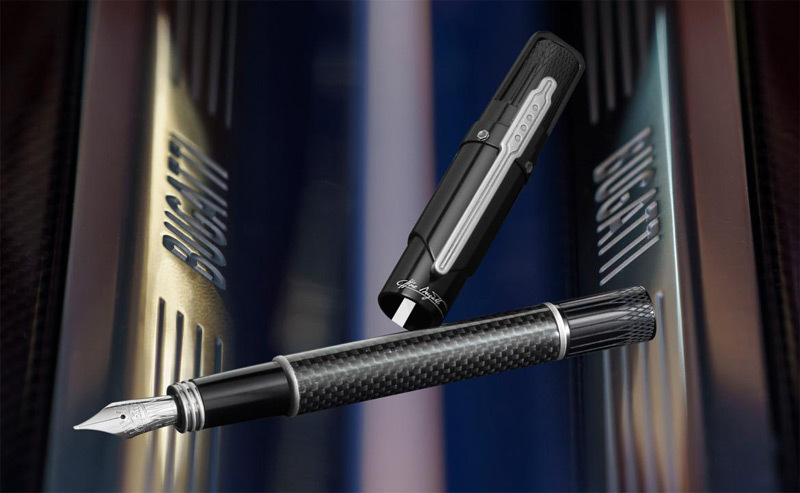 The Chiron writing instruments feature carbon fibre barrels and anodized aluminium cap and barrel ends. These are decorated with dynamic quilting engraving, reminiscent of Bugatti upholstery, while the cap top is enriched with red lacquer line. 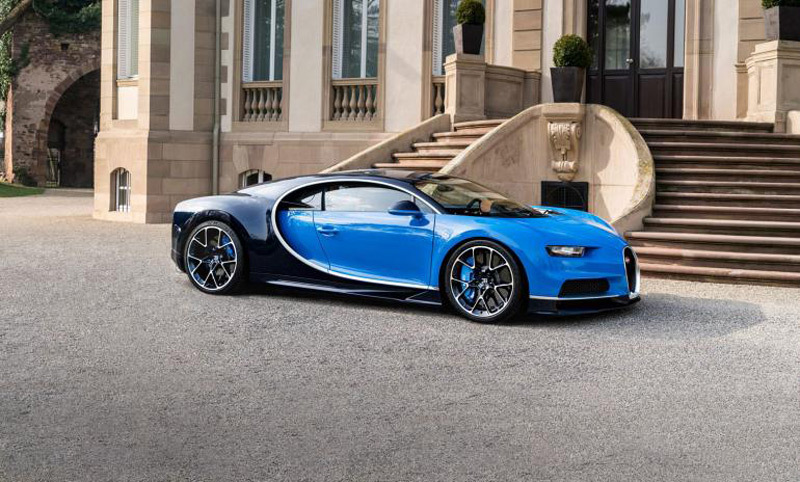 Not only is the Chiron collection an aesthetic tour de force: it is a technical triumph, too. The pen functions in its own unique way, with a fresh method for opening it to expose the nib. Instead of screwing out the cap from the barrel, the user turns the outer end of the cap and the pen barrel is freed. Fitted with a 18k Gold nib bearing the Bugatti oval badge, the Chiron fountain pen is offered in three writing grades of fine, medium and broad. The signature clip, shaped to recall the car’s console, also works as a tie-clip.